If you or someone you live with is allergic to cats, you know how difficult it can be, especially if you share or want to share your home with feline companions. 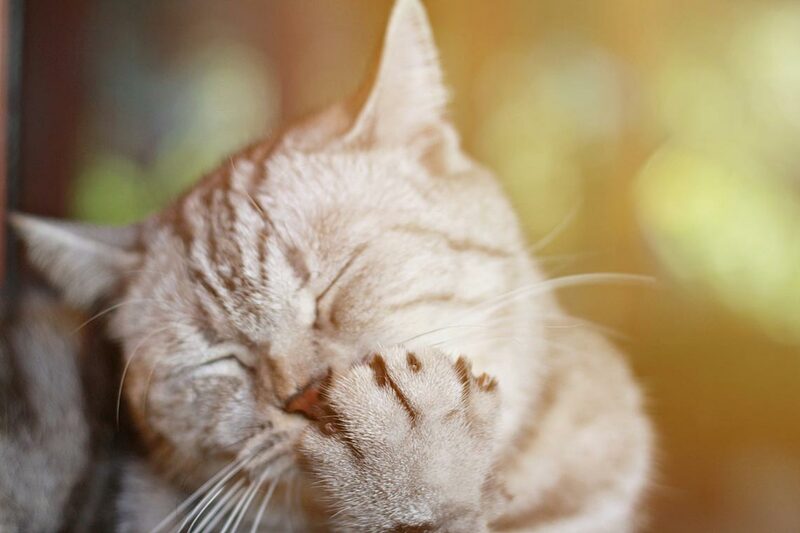 We've compiled some information about cat allergies that might help you deal with this problem. What Causes People to Be Allergic to Cats? Many people think that a cat's fur is what causes allergic reactions in people, but it is actually proteins in the saliva, urine, and dander of a cat that causes them. These triggers are called allergens. The protein that is the most widely known allergen produced by cats is Fel D 1, and it is in cat saliva and skin secretions. When cats groom themselves, they spread Fel D 1 throughout their fur, and when they shed or dander falls off them, the allergen is deposited into the environment. Allergic humans then contact the allergen when they touch things in the environment, pet the cat, or even breathe the air. Every cat produces a different amount of Fel D 1 or the other cat allergens known to affect humans. Therefore, people who are allergic to cats might react more or less severely to specific felines. What Are the Symptoms of Cat Allergy in People? Some people with asthma can have an attack triggered by their cat allergy. What About Hypoallergenic Cat Breeds? Unfortunately, there is no breed of cat that is hypoallergenic, including those without much fur, like the Sphynx. That's because the allergen isn't the fur, it's proteins in the saliva, urine, and skin. Some breeds are widely accepted as being less likely to trigger allergies, so perhaps they naturally have less Fel D 1, but this hasn't been confirmed scientifically. There is no breed of cat that can be counted on not to trigger a person's cat allergies. As noted above, each individual cat varies as to how much Fel D 1 he produces, so a person who's allergic might have more or fewer issues with some cats. 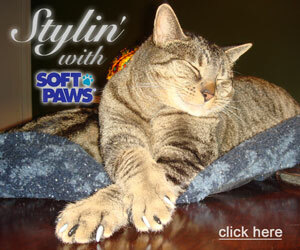 Brushing the cat every day and getting rid of loose hair and dander helps reduce allergens in the environment. It helps decrease the amount of dander that is free to fly around the house, and it can also reduce the cat's need to groom herself, decreasing the saliva and its proteins that get distributed over her body. A non-allergic person should handle this chore, preferably in a room the allergic person doesn't use or in an enclosed area outside. Acepromazine allergy drops might help in some instances. This drug, also called ace for short, is a sedative used by veterinarians, but in this case, a tiny amount of it is added to water, mixed up, and several drops are given to the cat daily. This mixture doesn't affect the cat's behavior, but it is thought to change the cat's saliva to reduce the amount of allergen protein it contains. 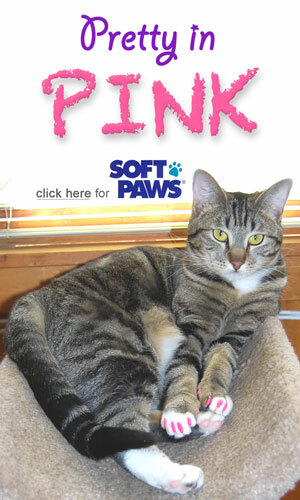 Some people find this very useful, but you will need to ask your veterinarian to prepare and prescribe it to your cat. Vacuum your home daily with a vacuum cleaner that has a HEPA filter in it. Without the HEPA filter, vacuuming might just spread the dander over more surfaces in your home, but the HEPA can trap the tiny particles and remove them from the environment. Vacuum the floors, upholstery, and drapes or blinds. Reduce soft fabrics in your home as much as possible. This includes carpets, curtains, and fabric-covered furniture. As much as possible, use non-porous, hard surfaces in your home that are easier to clean. Provide your cat with a bed or blanket in each of the spots she likes to perch to trap as much fur and dander as possible so you can clean it up easier. 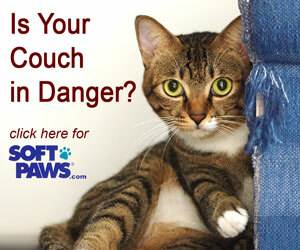 Keep cat-free areas in your home for the allergic person. One of those places should be the person's bedroom. Keeping as much dander out of the sleeping space as possible can really help allergic people. The person who is allergic should shower and change clothes often, and showering before bedtime is especially important to reduce contamination of the cat-free sleeping area. Remember, some people who are allergic to cats really can't live with them, so check with your doctor and proceed with caution, but these tips might help you keep both your cat and your allergic loved one happy.